Paws for the Cause - That Guy with the Birds! 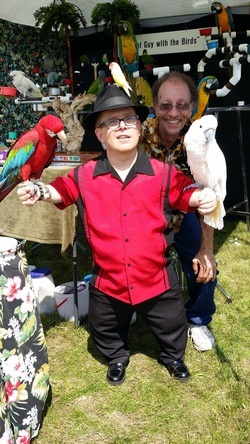 Shorty Rossi with John, Alvie, Peaches & Buttercup! That Guy With The Birds was invited back to the 2014 Paws for the Cause. This event hosted by the Western Pennsylvania Police Benevolent Foundation helps raise money for injured Police Officers and their families. We had a great time with all the four legged animals and got to hang out with Shorty Rossi from Animal Planets show Pit Boss. We'd like to thank everyone that came out to support this great cause and hope to see even more of you at next years event!